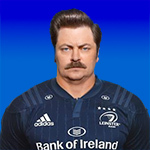 babbling brook, the leinsterfans.com supporters forum • View topic - Tickets Offered / Requested - How does it work? Just wondering how the system works. So if there's lots of people on the wanted thread, and then someone posts on the offered thread, does that just mean first come first served on offered, or does it go down in order on the wanted thread how they're offered? Just not sure, maybe one thread is better and when people are sorted they get knocked off the list and next in line can ask for any more tickets that people are kind enough to offer? Re: Tickets Offered / Requested - How does it work? That is a good question, I have put one in the requested section and I'm sure it will get lost in the list. Definitely a good question. I'll bring it to the attention of the other mods for discussion and hopefully we'll be able to work out something fairer. I suppose that one of the issues is that Leinster Rugby are actively sending people to the forum this year, but didn't in previous years, so there's a hugely increased list of requests. I just checked and there were three pages in the ticket request thread last year, so it was much easier to manage. Munsterfans have a good system. A single ticket thread is opened and managed by a moderator. People who want tickets post into the thread, then the moderator edits the first post to add those names to the list. People who have tickets to offer can then PM those who need tickets. Usual rules about face value and using PMs apply etc. Is there any chance we could get some type of list going? It might make the process easier for people and less time bumping or repeating stories and requests. Benji wrote: Is there any chance we could get some type of list going? It might make the process easier for people and less time bumping or repeating stories and requests. That is being worked on at the moment. Quick question: any views on how long to wait after your offer has been read, but not replied to? 2 or 3 hours a bit quick to move on to the next requestor?? Yup, my post is already lost in the masses on Tickets Requested and newer posts are getting the offers. Disappointing.